WHAT IS MBM MUSIC'S VISION STATEMENT? MBM Music provides independent artists a platform to be seen and heard, while assisting with necessary products, services, and fashion. WHAT CAN MBM MUSIC DO FOR MY BAND? MBM Music offers a variety of promotional services for musicians. We do this two ways…. You can either sign up for one of our MBM Musician Network Programs (Standard, Premium, Deluxe) or choose to use our +One Services. Our MBM Musician Network Programs offer musicians a personalized webpage, guaranteed spots on our monthly playlist, social media exposure, (Twitter/InstaGram/FaceBook on both MBM Music and Metal Babe Mayhem) and discounts on our +ONE Services and Metal Babe Mayhem Merchandise. Depending on which program you are part of, we can also write your band bio, write your press releases and publish on Metal Babe Mayhem’s Blog Site, go to our FaceBook Live for your live events, edit your album art, refresh your logo, design your flyers, or interview your band for Metal Babe Mayhem’s Blog Site. In addition to the services offered in our MBM Musician Network Programs, we offer the following in our +ONE Program Services: Fundraising, Social Media Management, Industry Network Building, Logo/Album Design, Brand Building, Business Consulting Sessions, Marketing Strategies, Mentorship Programs, and more. Reach out to us for more information. CAN I SIGN UP IF I’M NOT A MUSICIAN? You can definitely sign up with MBM Music if you are not a musician. MBM Music offers a variety of promotional services for artists, musicians, and vendors. 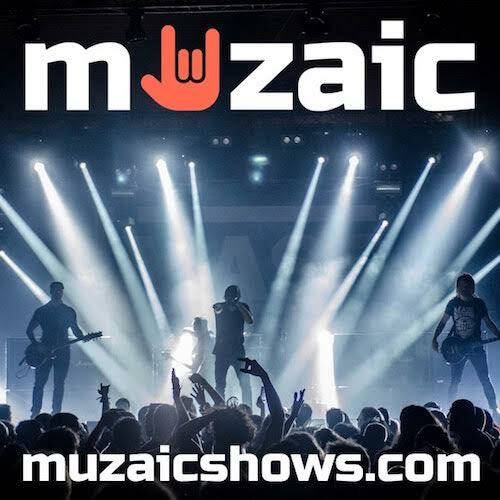 We offer all of the above-mentioned services that we offer musicians that are applicable, in addition to Newsletter Ads and Online E-Commerce. WHAT DOES MBM MUSIC DO THAT MAKES THEM STAND OUT FROM OTHER COMPANIES? Aside from all of The MBM Network Services offered in our Programs and +ONE Services, MBM Music believes in having a personal relationship with every Client. You will see this from your first communication with us. The most important thing to us is that we understand your promotional needs and we are doing everything in our power to fulfill (and exceed) your needs and expectations. We also have six Core Values that our Team believes and follows, and we would like to work with like-minded people who share these values. HOW MUCH DOES IT COST TO JOIN THE MBM NETWORK? 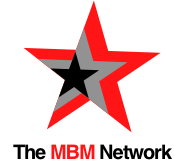 The MBM Network Standard Program starts at $19.99 a month (3 month minimum required). CAN I CHANGE MY PROGRAM ONCE I’VE SIGNED UP? Yes, you can definitely change your program once you’ve signed up. Please email us at info@mbmmusicllc.com and we will adjust accordingly. IS THERE A CONTRACT OR LONG-TERM COMMITMENT? Our minimum contract is three months. However, you save 20% if you sign up for one year. WHY DO YOU REQUIRE A THREE MONTH MINIMUM? The benefits of joining the network are appreciated in two phases. Upon signing up, you will gain immediate exposure to thousands of potential fans/customers with your webpage and our social media. The long-term benefits are guaranteed spots on our monthly playlist, additional social media exposure, discounts on +ONE Services and Metal Babe Mayhem Merchandise, band bios, press releases, FaceBook Live, album/logo/flyer design, interviews, and more. These benefits take more time. We believe that three months is adequate to recognize the full advantage of being part of The MBM Network. 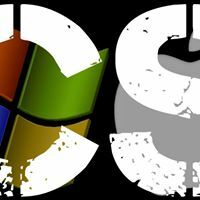 HOW CAN UP I UPDATE MY WEBPAGE? Email us at info@mbmmusicllc.com when you have something you would like to update on your webpage. We will update within 72 hours. HOW DO I SUBMIT A SONG FOR THE MBM MUSIC PLAYLIST? Email the Spotify Link to info@mbmmusicllc.com and let us know what song to add to our Playlist. We will put it in the next available spot. If you do not have a Spotify account, email us an MP3 and picture to upload to the Metal Babe Mayhem Monthly Playlist instead. WHAT ARE THE NEXT STEPS ONCE I SIGN UP? You will receive a personal email from CEO Alison Masson once you sign up that welcomes you to MBM Music. It will include an Attached Letter of Intent to sign and send back, as well as requests for information to set up your webpage. Once we receive your response, we will set up your webpage within 72 hours and Share on our Social Media, announcing that you (your band or company) are part of the MBM Music Team. From there, depending on your program, contact us at info@mbmmusicllc.com anytime you need us! HOW IS METAL BABE MAYHEM AFFILIATED WITH MBM MUSIC? MBM Music is the newest division of Metal Babe Mayhem. MBM Music focuses on Services and Metal Babe Mayhem focuses on Products.